In a remarkably short period of time, Representative Michele Bachmann has been transformed from a fringe figure, known mainly for her abrasive and often inaccurate attacks on the president and other Democrats, into a legitimate presidential candidate. The latest national poll of Republicans (from Public Policy Polling) shows her pulling ahead of long-time front-runner Mitt Romney. The latest poll of likely Caucus-goers in Iowa has the same result. She’s even gaining rapidly on Romney in New Hampshire, and making a splash in many other states. She is now poised to win the first real contest of the cycle, the Iowa GOP Straw Poll on August 13, and could do so in a way that destroys the candidacy of her fellow Minnesotan and one-time smart-money favorite for the nomination, Tim Pawlenty. But now that Bachmann is the real deal, her candidacy is about to endure its toughest moments yet—including intensified scrutiny of her background and character (which is already very much under way), unrealistic expectations for her candidacy, a possible existential threat from Governor Rick Perry, and GOP elite misgivings about her electability. In the coming months, this multi-faceted stress test might just send her back to obscurity well before the first delegate-selection events in Iowa, New Hampshire, and South Carolina even take place. Heightened scrutiny of Bachmann has already begun, notably in the form of derision towards her husband, Marcus, whose Christian counseling firm and effeminate mannerisms have drawn horselaughs from such media figures as Jon Stewart, and claims in a Daily Caller piece that she suffers from “incapacitating” migraine headaches and heavy medication to combat them. So far Bachmann has done well, largely ignoring the mockery about her husband and denying the reports that she might be medically unfit to serve as president (she’s sought to turn the innuendoes around by identifying herself with the “30 million Americans [who] experience migraines that are easily controlled with medication.”) But you have to figure there is a lot more to come, including a more thorough examination of long-standing reports of instability on her congressional staff. And while a handful of progressive journalists have sought to draw attention to her extremist background (particularly her association with “Dominionist” thinkers who argue that America should be transformed into a Christian theocracy), only now can we expect the mainstream media to follow the scent and ask their own questions. 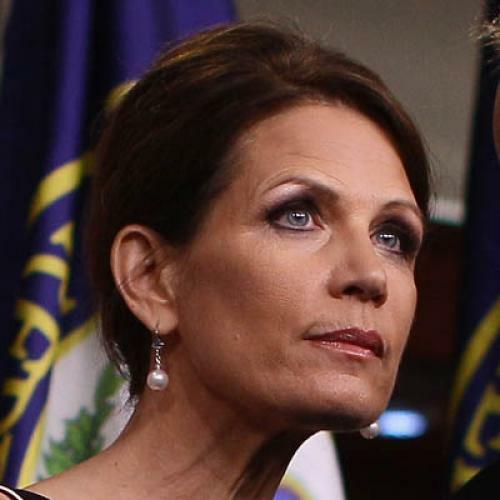 Probably the biggest challenge to Bachmann, however, may be developing down in Texas. Rick Perry, whose minions have been burning up the phone lines to potential donors, is already generating excitement (and regular double-digit poll showings) as a candidate with all of Bachmann’s appeal to Christian Right and Tea Party activists, but much better credibility with the GOP establishment and a tailor-made “story to tell” to the entire electorate about his state’s superior record generating jobs. One leading Republican observer suggested recently that Perry’s entrance into the race would instantly make it a three-way contest between Perry, Romney, and the eventual Iowa winner. Another replied that a Perry campaign could make the Iowa winner irrelevant. And that’s aside from the fact that Perry would be likely to contest Iowa as well. This weekend, in fact, the Iowa State GOP might choose to put Perry on the Straw Poll ballot even though he’s given no formal indication he’s going to run. One indicator of the threat Perry poses to Bachmann’s base of support is the growing involvement of a broad array of Christian Right figures, including such warhorses as James Dobson and Richard Land, in the August 6 prayer gathering the governor is hosting in Houston. As Religion Dispatch’s Sarah Posner puts it, “The religious right is signing on en masse” to the event. This infatuation with Perry has to be disturbing to Bachmann, a graduate of Oral Roberts University’s law school and a long-time soldier in Christian Right causes. Finally, even if Bachmann can maintain her lead in Iowa, she has yet to win over conservative elites, even among those whose views are as reliably extreme as her own. Any plausible path to the nomination for Bachmann includes a win in South Carolina, a state whose Republican voters are a lot like those of Iowa, with the exception that the Palmetto State’s Tea Party movement is highly organized and active. But early indications are that Senator Jim DeMint, himself an important national power-broker, has succeeded in convincing most SC pols and donors to “keep their powder dry” in the presidential contest until such time as he has scrutinized the candidates and made his own choice. Bachmann, who visibly annoyed DeMint by initially refusing to take the “cut, cap, and balance” pledge on the debt limit issue (she eventually relented after previously vowing to vote against the CCB legislation on grounds that a repeal of ObamaCare should also be a condition of any debt limit increase), is not off to a great start in the DeMint Primary. It also doesn’t help her with party elites that she’s closely (if somewhat unfairly) associated with Sarah Palin, and thus might be expected to emulate Palin’s pattern of steadily growing disapproval ratings from political independents and more moderate Republicans. While Bachmann is faring better than Palin against Barack Obama in the few recent trial heat polls that have appeared, her approval-disapproval split among the general electorate isn’t very promising (29/45 in a recent PPP survey). So there are storm clouds amidst the bright skies ahead for Michele Bachmann as we enter the Dog Days of the invisible primary leading into 2012. If she hopes to hold on, she’d better batten down the hatches for a very rough ride.